I had the wonderful experience of hearing M. Bridget Cook speak at the Friday night event of the Arizona Family History Expo on January 21, 2011. I was very impressed with her spirit and love for others that I decided to attend a class she was teaching the next day called, "Writing a Biography Even Non-Relatives Will Read." Remember - not everything important to you is important to others. If you had a hard life, no one wants to read just the negative. 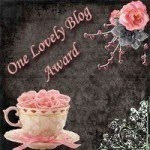 Write how you triumphed over your hard life and how you are a thriving survivor. Who is your audience? Write with that in mind. Remember that every hero has a flaw, and every villain has some redeeming qualities. Include the struggles and heartaches as well as the good. Keep the length readable. If your biography is too long, don't discard it! Make a shortened version that grandchildren will read, and hopefully you will leave them wanting more and they will seek out your more lengthier version. Start with a hook to draw people in. In fact, try to have a hook in every chapter. Write a "show me" story instead of a "tell me" story. Show them what happened; add color, humor and phrases from their day. Get juicy in the details, but be careful to avoid libel and slander. And, don't label people. Every person is unique. Find those qualities and expand upon them. Include strengths and weaknesses. Record spiritual events and beliefs that shaped the life of whom you are writing, but in such a way your audience won't feel you are being judgmental. Write how these events shaped their life. Don't forget to write about the people in their life who affected them. Start with making a list of everyone in their life. Write about career and work history, but write about the career journey, duties, talents, strengths, joys, heartaches, accolades, etc. ; how it shaped their life. Make sure dates, settings, etc. are accurate. Write and write and write when you are on a roll. Don't let the left brain stop you to look up dates (and distract you); you can always fill in the blanks later. Bridget also had some practical tips to help you record the information in our day. You can do the simple old-fashioned way of keeping a "Pocket Historian" with you every day. It could be as simple as a 2" x 4" notebook. Record events as they come to you. There is also a free app called Dragon Naturally Speaking on ITunes, and it works well on my iPhone. Just remember that this free app does not save the data; you must email or text it to yourself in order to preserve it. Hope you find these tips helpful. I would also suggest attending a Family History Expo in your area - I learn so much every time I attend. *Supposedly I could earn a little income if you click on the Amazon link to Dragon NaturallySpeaking above, but please remember I would never promote something I would never use for myself. If you have other suggestions for similar types of software, please let me know! However, I am definitely loving my Dragon Naturally Speaking on my iPhone, and can't wait until I get my copy of Dragon for my computer! I recently had the opportunity to speak at the Arizona Family History Expo. My topic was: "Google Tips and Tricks to Find Those Genealogy Treasures." I had given this same Google presentation almost a year ago, and I was surprised to find how much Google had changed. And, when I was preparing my Powerpoint presentation for the Expo, I was even more surprised to see how many more Google "hits" I was seeing in my search results! In any event, I wanted to share with you the syllabus/handout from my presentation. Hope you find it helpful! You would never think that an article about the famous Mark Twain would help someone find the birth information of their ancestor! But it was true, as Jason Harrison, certified genealogist, explained in his class at the Arizona Family History Expo this weekend. This insightful class included many tips to help you find your ancestors using historical newspapers. I have had quite a bit of success myself with newspapers. In fact, I even found a newspaper article proving that indeed I was hit by a car when I was three. I had no idea that this event made the paper. And, I had no idea the event occurred around Christmas, and that the driver was a hit-and-run driver. So, to help you find success in searching newspapers, the following are a few tips from Jason's class. If you ever get a chance, take Jason's class! Look for upcoming expos sponsored by the Family History Expos, coming to a city near you. Newspapers are excellent sources for finding women. Also search by husband's name, as some women were listed as "Mrs. William F. Butler." Just don't search birth or death information, search milestone events such as anniversaries. You might even find a 50-year wedding anniversary celebration complete with a photo. Don't forget newspapers when searching for African-American ancestors who may have been slaves. Many slave owners would publish information about runaways, captures, and would also provide physical descriptions. Be creative in your word searches. Some newstypes might not have converted properly to text when they were OCR'd (scanned and converted to text via optical character resolution). Example: Worley could have been OCR'd as Warley. Find out how many newspapers were published for the locality you are searching. You might find more information in one newspaper than you'll find in another. If you know your ancestor died of an accident or some other unusual means, it may have made the news. Check for articles about the event. Worldcat.org will help you find libraries who carry your newspaper. Try using interlibrary loan to request newspapers from other libraries. Wikipedia's "Newspaper Archives Online" - offers listings of newspapers in the US and Worldwide. RefDesk.com has a listing of newspapers in the US and Worldwide as well, but the links are to mostly current newspaper sites (as opposed to their archives). NewspaperArchive.com - ($) US and World newspapers from 1753 to present. Free 7-day trial. GenealogyBank.com - ($) 1690-2007 US newspapers, 30-day free trial. Ancestry.com - ($) US and World. ObitsArchive.com - Obituaries from 1980 to present. 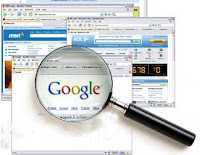 Search index for free, and $2.95 per article. No photos - just text. Obituaries.com - ($) US and Canada - mostly newer entries. Online 25 min. video on Newspaper Research in the US, offered, by Familysearch.org. A. In 1818, a law was passed that you had to be in "want" or "need" in order to get a war pension. Obviously not as many applications or paperwork may exist. B. In 1828, the law was changed to allow any soldier who served could now apply for a pension. You can imagine how many veterans applied after this new law was passed. 3. Civil War soldiers. If your ancestor was a Confederate, he had to apply to his state for his pension, not the U.S. Government. (The U.S. Government was not about to give a pension to someone who fought against it in the Civil War.) Check your State resources for your Civil War soldier. This is just a snippet of some of the things I learned today. More to come from the Arizona Family History Expo! Everybody has them - scallywags, low-lifes, rascals, scamps and all-things embarrassing - in your family tree. Actually, some are downright horrible, but some can be loveable. Do you have any of these? I love telling about one of our famous ancestors on my Dad's side who was executed by the U.S. Government, until you learn how much his children suffered just because they shared his last name. In fact, my Dad -- two generations later, and who did not share his surname -- was told in his youth: "You've got that 'Bad Lee Blood' in ya." Another not-so-favorite family story is learning the true reason why one great aunt divorced her husband -- seems she contracted a sexually-transmitted disease from her unfaithful husband. And, learning through a simple Google search that one ancestor did not tragically drown on Christmas day in 1852, but was really involved in theft of cargo from a ship who later died not from a shark-bite, not drowning (his half-eaten body was found on the shores of Australia). I have cousins to this day who still want to believe the "drowning on Christmas day" story - it sounds so much better, doesn't it? Tickets are still available for this event. Here's where you register: Click Here. The party starts at 6:30, and we hope you can join us! 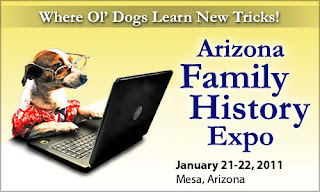 Don't forget - I will be attending the Arizona Family History Expo as a Blogger of Honor, and will also be speaking on Saturday afternoon on Google Tips & Tricks to Find Those Genealogy Treasures. Please stop by and say hi if you are attending! Is Genealogy Indexing More Rewarding Than Playing Farm Town? Recently I was asked to consider becoming my church's Stake Indexing Director. This job would oversee and encourage volunteer indexing of historic genealogy records at the FamilySearch.org indexing website. What I was most interested in was obtaining the statistics of work performed by current indexers in our Stake so we could publish it in our Phoenix Family History Library newsletter (since I am the newsletter editor). I am no stranger to indexing, and in fact I enjoy it. When I looked at the statistics, I was proud to see my name listed, until it showed my numbers. Shamefully my stats were very dismal for 2010. Something must be wrong?! I then thought about where I had spent quite a bit of time during 2010 - then I remembered! Facebook - my 6 farms in Farm Town. Don't get me wrong - sometimes you may need to do something mindless like playing these games. However, I knew my time spent on indexing vs. Facebook games was not even close to being equal. Since my reawakening, I started doing more indexing and less farming. I am also loving the fact that FamilySearch.org has listed the Indexing project under "Give Back" on their website. That does say it all, doesn't it? I have already doubled my total names indexed for 2010 - and it has only been a couple of weeks. In fact I am indexing US Naval Enlistment Registers from 1855-1891, and I love seeing all of different home towns and countries of the sailors and recording their complexion as dark, fair, ruddy or florid (which I had never heard of before). If you have ever used the FamilySearch.org website and had success finding a few family names, as a thank you try indexing a few names in return. Think about how spending a few minutes of your time could save someone decades of searching. There is no cost to indexing, and it is easy. You can do a little or a lot. Here's the link: FamilySearch Indexing. Send me your indexing totals! I know others are putting me to shame, but I am on my way to redeeming myself in 2011! 1. Did you know that men over the age of 45 also registered for the draft in World War II? 2. Did you know that Ancestry.com's Member Connectivity allows you to see live feeds of recent uploads by others who are researching your family lines, and you can see who is accessing and linking the photos you upload? 3. 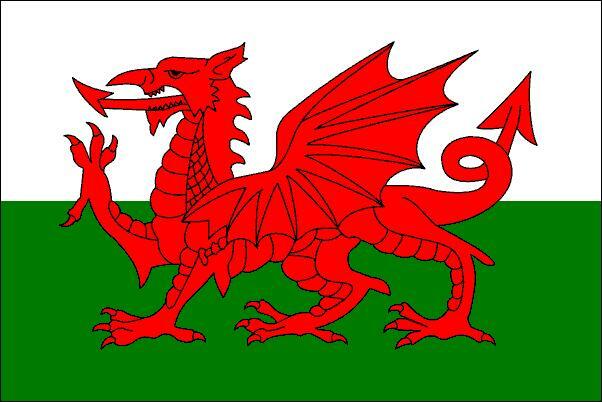 If you have Welsh ancestors, did you know that a lot of Welsh were non-conformists? Although you should still search all parish records where your ancestor lived, don't forget to search the non-conformist church records! 4. Did you know that when searching Footnote.com, if you use the keyword search for names, it also searches newspapers? Using the name search does not. 5. 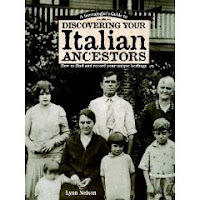 When researching Italian records, did you know that mothers sometimes used their maiden names on immigration records? And, in Italy, marriages had to be announced in the newspaper, which could be another good source for these records. 6. One tip on immigration records: compare the indices at Ellis Island to Ancestry.com -- may find different transcriptions. 7. 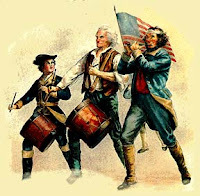 Revolutionary War records: In addition to Ancestry.com and Footnote.com, did you know that Heritage Quest Online (available at most libraries) has Revolutionary War pension records? 8. Patriots serving in the Continental Army were given Continental dollars or Bounty Land Warrants. Probably 90% sold their Bounty Land Warrants to others, sometimes kids and grandkids claimed the land. These are good genealogical records. 9. 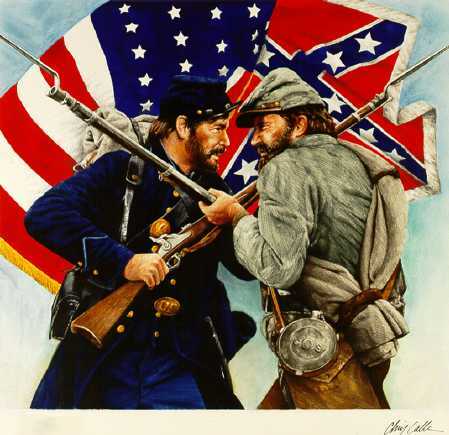 Did you know that 10% of the U.S. population participated in the Civil War? And, upwards of 10% lost their life in the Civil War? Unfortunately if your ancestor was from South Carolina, you won't find any soldier units there - they had to join other units. 10. Only about 1/3 of World War I records and World War II records still remain (losses due to unfortunate fires at facilities). However, did you know that about 2/3rds of these records may have also been filed with local County Recorders? Check your County Recorder records for DD-214 separation papers. The Family Histoy Expos offered by www.fhexpos.com offer a great variety of classes, from beginner to experienced, and at a reasonable rate. There are so many classes offered that you cannot attend all, however, you can download the syllabus for every class, which are still excellent resources. Will I be attending this year's Arizona Family History Expo? Yes! In fact, I will be presenting one of the classes at the Expo and will also be a guest Blogger of Honor. Not only I am a convert, I am hooked! 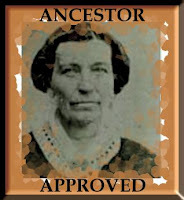 We hope to see you at the Arizona Family History Expo on January 21-22, 2011.